The release of Avengers: Endgame is just ten days away, and fans can’t wait to see what happens to Earth’s mightiest heroes. However, some fans may have already found out, thanks to a footage leak on social media. Don’t worry, we aren’t going to post any details from those clips. Several users posted a small amount of leaked footage from the film on social accounts for Instagram and Twitter. Though it’s obviously not the entire three hour film, the footage is reportedly enough to spoil some of its big secrets. It’s hard to say where the footage originated from. Apparently Disney hosted an early screening for select viewers. However, no journalists or critics received an invite to said screening, so it may be an internal leak. A few users have managed to spread the footage around, while others have been avoiding it like the plague. They’re hoping to see the whole experience without spoilers when Endgame arrives next week. You can see some of these prepared fans below, blocking key words and heeding warnings to others. Apparently Avengers: Endgame spoilers hit the web. Mute all hashtags. Read your timeline with one eye closed. Do not tweet before you’ve seen the movie. Delete the Twitter app. Shut down DNS. Cut the submarine internet cables. Burn the internet down. Update: person blocked for tweeting Endgame spoilers at me is now whining that the ending is in some comics that I didn’t read and therefore fair game. I tweeted about EXPERIMENT IN TERROR. It’s from 1962. The surprises are spectacular and I was careful not to spoil them. if you send endgame spoilers to people who don’t want them, people who have been waiting ten years, five years, one year or even like 10 minutes for this film and are super excited about it, you are actual garbage. no other opinions, you are absolute trash. Since the footage became available online, Disney has been on clean-up duty, removing it from every source it possibly can. It hasn’t officially commented on the matter yet, and most likely won’t to avoid spoilers from spreading further. That said, some accounts still have the footage making the rounds on Instagram, Facebook and Twitter. So if you use those networks, keep an eye open so you avoid spoilers! 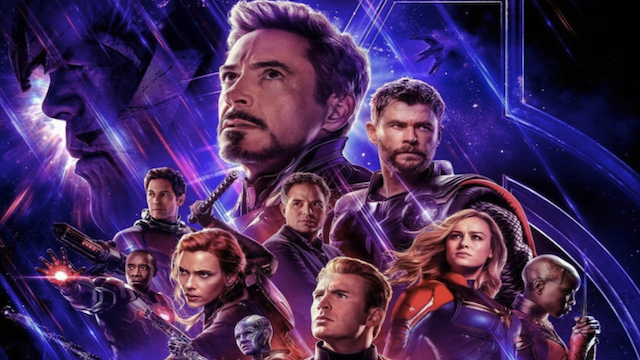 Are you angry that some Endgame footage made its way online, or do you want to see it? Let us know in the comments below!